In a large and deep saucepan, add the potatoes and water. Bring to a boil and simmer for 15-20 minutes, or till the potatoes are fork tender. Peel and cool; cut into half inch pieces. In a small pan, add the eggs and water. Bring to a boil. Cover and turn the heat off. Let the eggs sit for 10 minutes. Take out of water, let cool and cut into half inch pieces. In a large bowl, add the mayonnaise, sriracha sauce, lemon juice and salt. Mix well and add the chopped cilantro, dill, chives and green onions. Mix well and add the potatoes and eggs. Mix well and check for seasonings. Add all the dressing ingredients in an airtight container. Shake really well and check for seasonings. 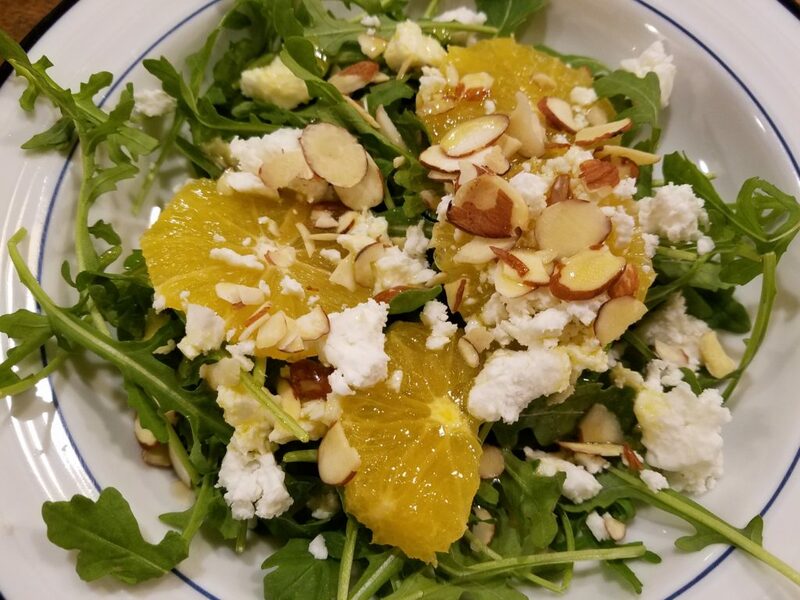 Transfer the arugula, oranges, feta and almonds in a bowl. 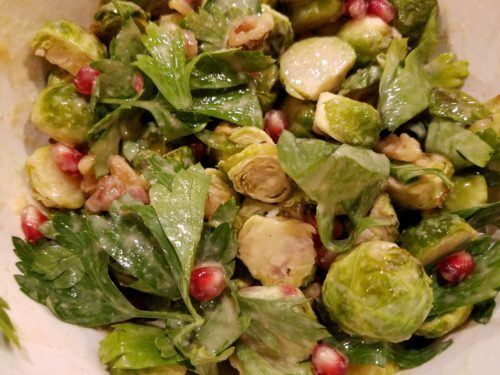 Pour some dressing, toss and taste for seasonings. Add salt and pepper if desired. Serve and enjoy! 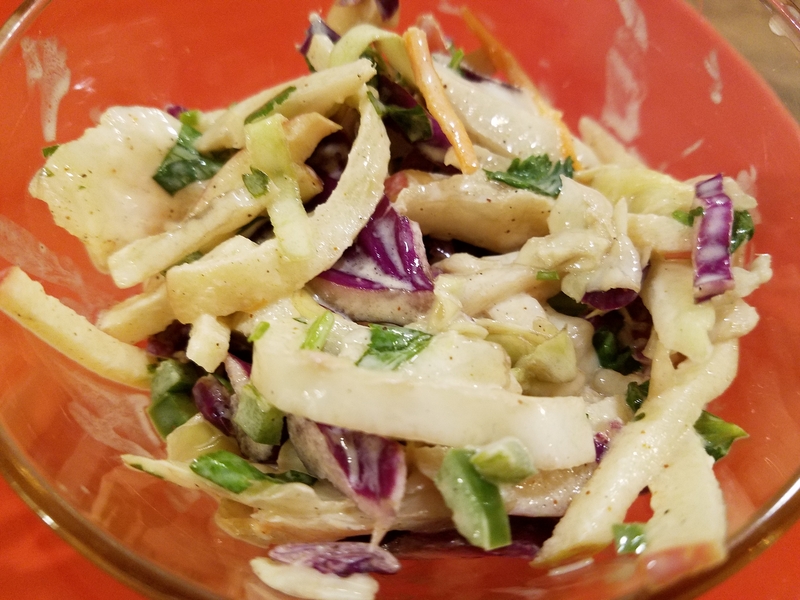 Transfer the cabbage mixture, apple and cilantro to a mixing bowl. Add the mayo, yogurt, lime juice, salt, ancho chili powder, ground cumin and honey to a small bowl. Mix well and add to the cabbage mixture and mix well. Add more salt if needed. Serve with the pulled pork sandwiches. Add all the ingredients to an airtight container and shake vigorously to mix all the ingredients well. Check for seasonings. 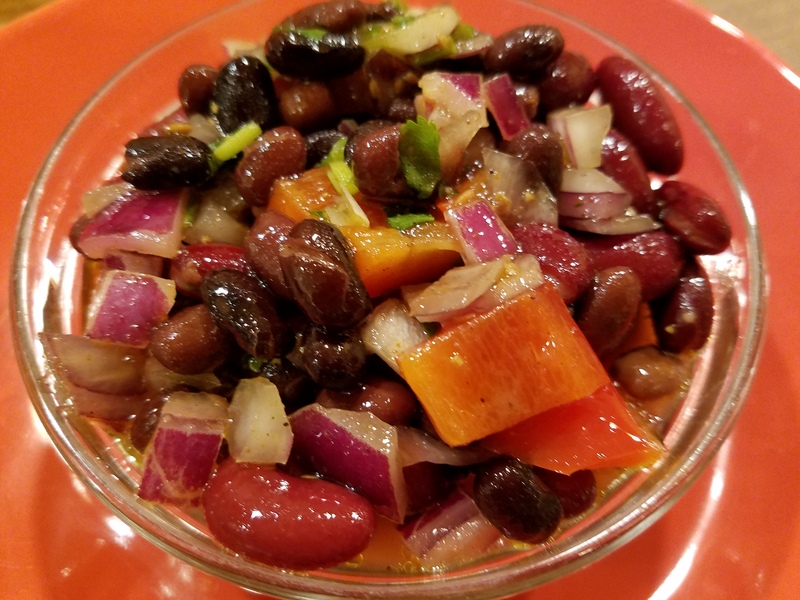 Add to the mixing bowl with the beans and vegetables. Mix well and add more salt if needed. Let the salad sit for at least 2 to 3 hours before serving. Mix well before serving.